In high school when all the other girls had pretty, long pin-straight hair, I had bulky, thick wavy hair. No amount of straightening would keep it the way I wanted it. I had the Hollister hoodie, fake Dooney & Bourke, Five Star notebooks, and all I was missing was that gorgeous highlighted, straight hair all the other girls at school had. After years of trying to get my hair to behave the “right” way, I’ve finally embraced the hair I was born with. My mom and I both have wavy hair and frankly, neither of us have ever known what to do with it. Finally, I just started letting my waves do what they wanted and it felt so good! Moving to Texas made me rethink my hair routine though. 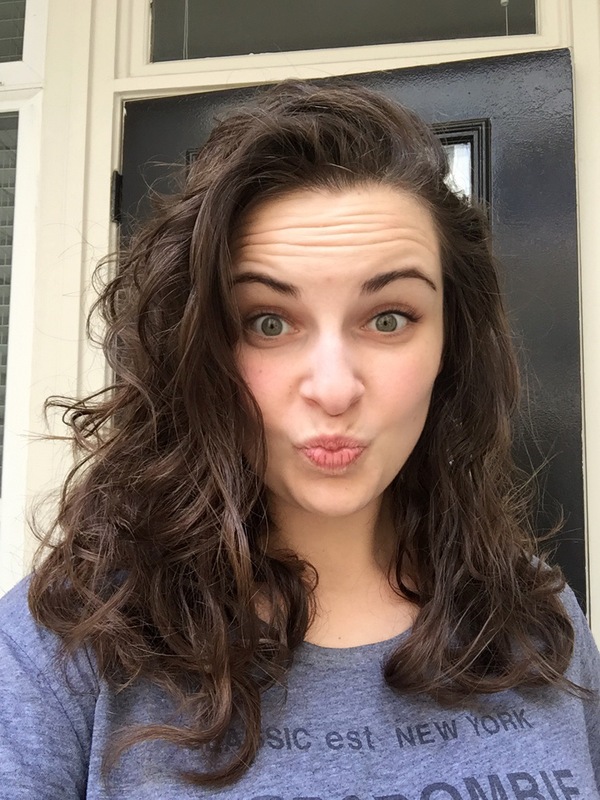 I used a lot of great coconut oil products but I needed something that kept up with the heat, humidity, and the need to have “big hair” like the other girls in Texas. Enter the Kenra Grip Collection at Ulta. Kenra Professional sent me the Air Grip Spray, Whip Grip Mousse, and High Grip Spray to try out! After showering, I let my hair air dry and then scrunch in the lightweight mousse to keep the wave from becoming fluff. When it’s finally almost dry, I spray in either the Air Grip or High Grip Spray to tame the inevitable frizz. The only thing it can’t quite control is the annoying cow-lick (I think that’s what it’s called!) that I was born with. Nothing, not even NASA, can control that little section of hair! Loving who you are and what God gave you is so hard when you’re a fashion and lifestyle blogger. Everyone seems to have a prettier face, better hair, and thinner body than you. But as I’ve grown up a bit, I’ve realized how blessed I am to be born with my mom’s hair, my dad’s eyes, and my unique personality. Embracing who I am and what I look like is a slow process, but it started with my hair! *post powered by brandbacker. all opinions are my own.